The ARRIS C4 Cable Modem Termination System is engineered for carrier-grade operations while delivering unprecedented service availability and wire-speed performance under all operating demands. Operators turn to C4 CMTS installations to deliver high-quality advanced, carrier-grade data, voice and IPTV services thanks to advancements in efficiencies and low overall operational costs. The ARRIS C4 delivers an economical cost-per-port and can reduce OPEX while improving overall ROI. Active components support software upgrades still, ensuring that they stay relevant for changing networks and new configuration options. Upstream and downstream capabilities can be improved with the latest updates. You can further improve your return while reducing your footprint, power consumption and cooling requirements when you select a refurbished ARRIS C4 from Worldwide Supply. ARRIS notes that the C4 CMTS is a leading provider of reliable service while reducing CAPEX thanks to design and growth potential that requires minimal additional infrastructure. Our certified engineers can also help you make the most of your deployment with help placing units in existing headends or hubs without a buildout or any additional infrastructure, in most cases. Prolong its life and improve your investment with a used ARRIS C4 model. Operators can turn to the ARRIS C4 to deliver world-class performance continuously on your enterprise services with a complete backing from Worldwide Supply. We’ll ensure you have everything you need to make the best-informed decision and complete your install and integration simply and efficiently. Worldwide Supply gives access to new and used ARRIS C4 CMTS that can help you optimize your budget and spend allocation. Our in-house experts review all used ARRIS C4s that we acquire and then bring them back up to original OEM standards. 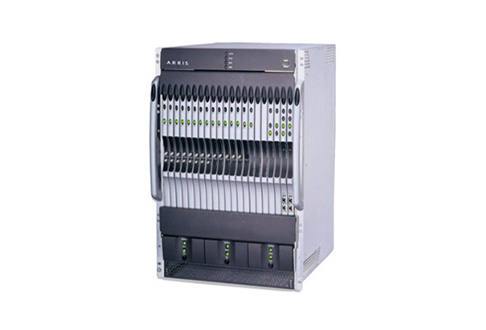 These refurbished units are then tested in real-world scenarios to ensure their reliability, including support for 5-9s availability and their renowned scalability. Refurbished ARRIS C4 CMTS are offered to carriers and customers like you at rates up to 80% lower than original OEM pricing. Each comes with a lifetime warranty and can be covered by our NetGuard maintenance package. Get experts on-call 24/7 so we’re there when you have any need. Plus, you get access to speedy spares and parts delivery that can provide next-business-day or even same-day service. We’ll help you maximize your spend with a refurbished option that reduces costs but won’t fail when you need it. Use the options below to find your perfect refurbished ARRIS C4 CMTS.